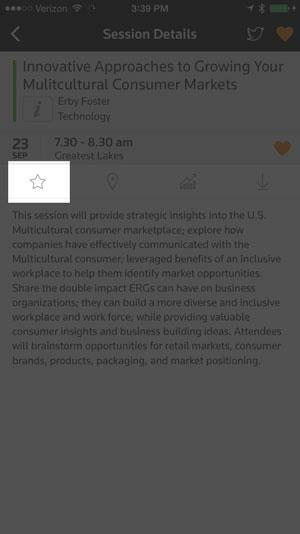 Sessions Details are where attendees go to learn more about a session. 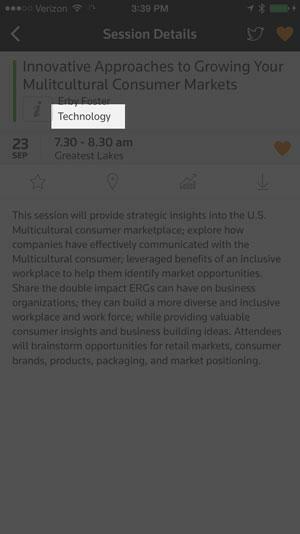 Things like the session description, track, date, times, location, etc., can all be found in Session Details. 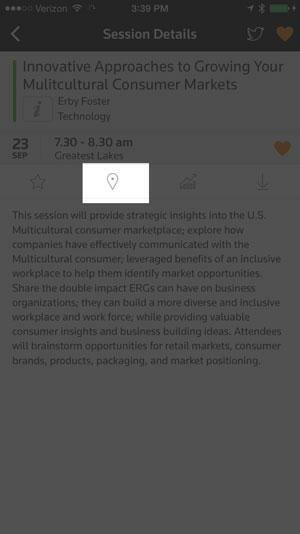 Additionally, should the user choose to attend the session, they can tap on the Heart to favorite the session. 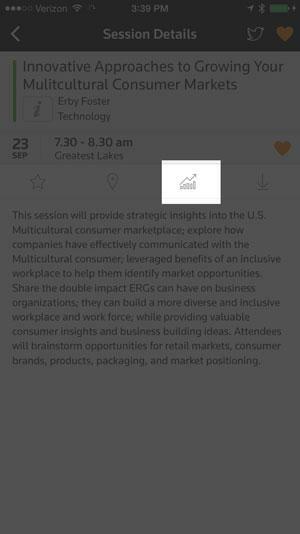 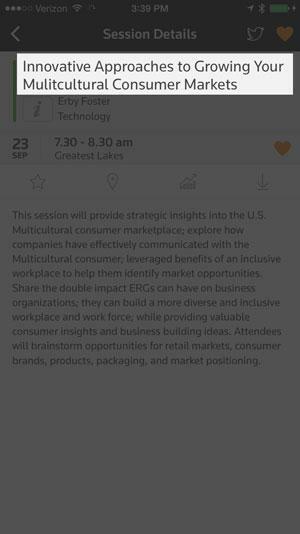 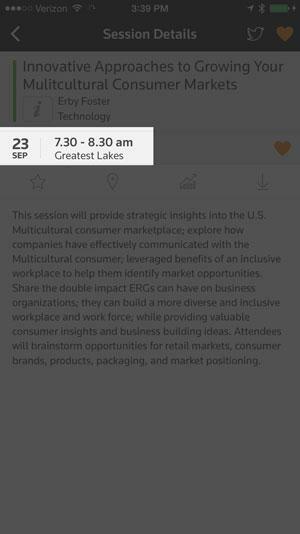 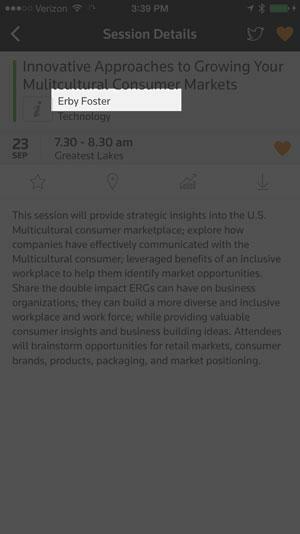 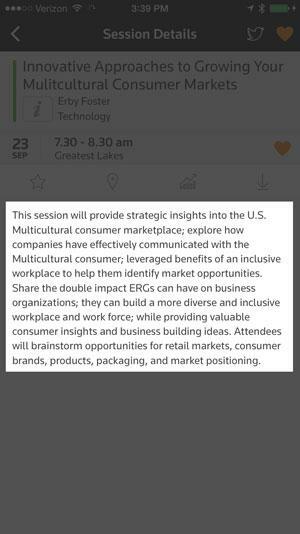 To open Session Details, simply tap on a Session from the Event Schedule. 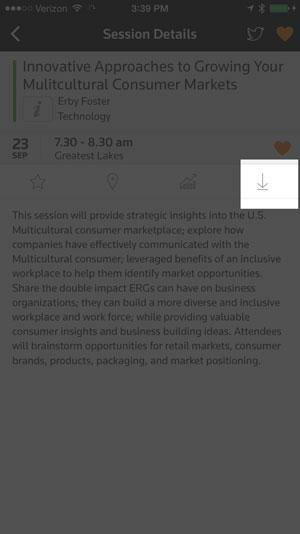 Tap the "i" to learn more about the Speaker or the Track.